Temperatures will drop significantly Friday, with heavy snowfall, on the coldest day according to Korea’s traditional 24 seasonal divisions. Morning lows will vary from minus 12 to 2 degrees Celsius, with highs of minus 5 to minus 3 C during the day. The morning temperature in Cheorwon and Daegwallyeong, Gangwon Province, will plunge to minus 12 C, while Seoul will see the mercury drop to minus 9 C.
Cold air coming from the northwest will bring down temperatures. 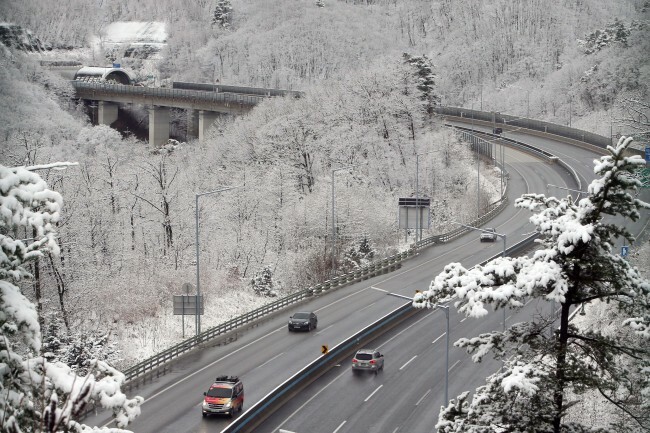 With temperatures in some parts of the central inland area falling below minus 10 C, a cold wave will sweep through inland areas of Gyeonggi Province and the western part of Gangwon Province, according to the Korea Meteorological Administration.